Entry to this event is included with a Grounds & Below Stairs ticket and is free for members. Join us for our second event in our series of our Autumn Festival Weekends. This weekend celebrates all things food and harvest, and the wonderful produce in season at this time of year. 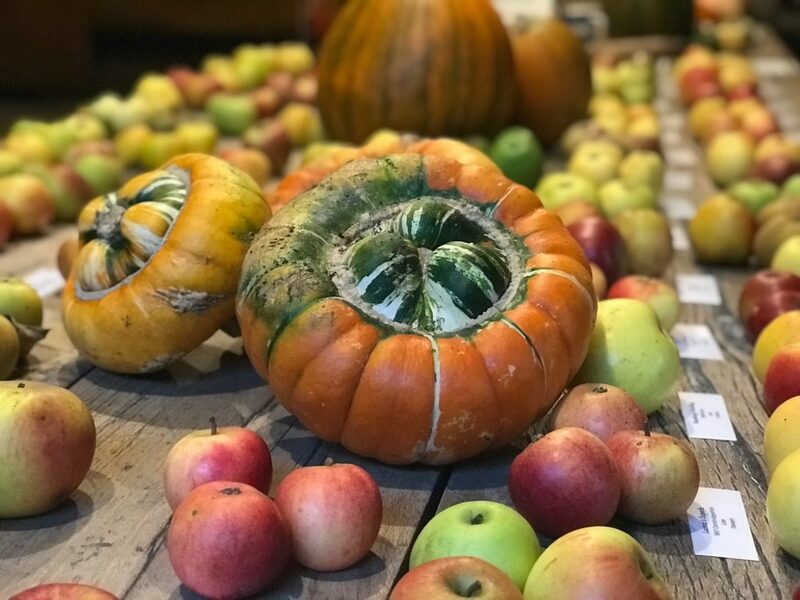 Visit our Artisan Food and Craft Stalls on the North Front, explore the Walled Garden is the height of the harvest season, take part in our harvest themed crafts and trails, and visit Below Stairs to watch cooking demonstrations and join our Autumn Biscuit Decorating. Artisan Food and Craft Stalls: Take a trip to our Sperry Tent located on the North Front near the Church and explore the food and drink stalls selling lots of seasonal produce. 11am-4pm each day. Cookery Demonstrations with the Harewood Food & Drink Project: Join professional chef Josh Whitehead from the Harewood Food & Drink Project for some extra special seasonal cookery demonstrations in our Old Kitchen. Below Stairs, 11am-3pm each day. Autumn Biscuit Decorating: Get creative with your food and join us for some fun, free biscuit decorating in the Pastry Room, Below Stairs. 11am-3pm each day, donations welcome. Seasonality Trail: Explore the Kitchens and Walled Garden at Harewood with this food themed family trail and learn all about seasonality and food preservation in the past. Harvest Arts and Crafts: Let’s get crafty with some harvest inspired craft activities! Make your way to the Courtyard Education Suite (upstairs), 11am-3pm each day. Walled Garden Walk and Talk: Join our Gardens Team for a free walk and talk around the wonderful Walled Garden, bursting with fruit and vegetables just waiting to be harvested. 1pm each day, meet in the Walled Garden.